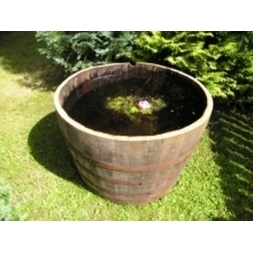 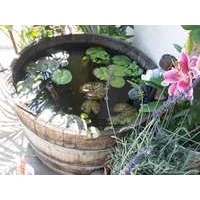 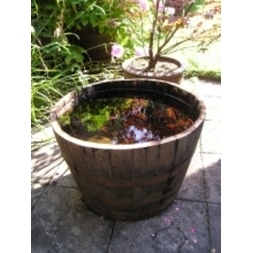 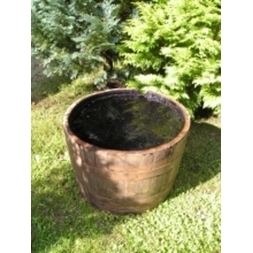 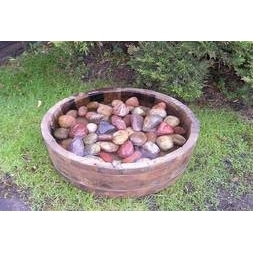 Water tight half oak barrel tubs may be used for ponds, water features and still water gardens. 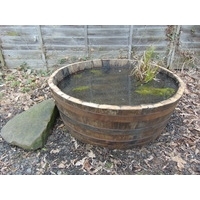 NB If to be used for fish stock we recommend the tub is lined with pond liner in order to maintain water quality. 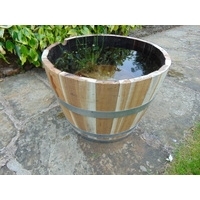 During hot dry weather watertight tubs must be kept brim full, since evaporation allows the stave joints to open above the falling water line which will result in leakage when topped up.